It wasn’t until I started having a bit of a clearout at the weekend that I realised just how many half used bottles of shampoo and conditioner I have. 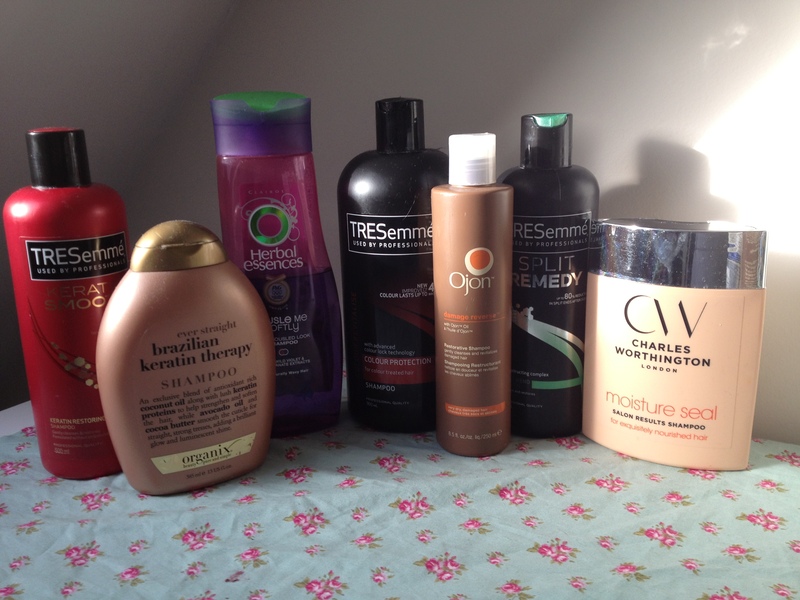 So I’ve put myself on a bit of spending ban when it comes to haircare. I mean just how many shampoos does one girl need? The rules are simple. I’m not allowed to buy any new shampoos or conditioners until every last drop in my current bottles is gone. I would list out every shampoo and conditioner I have to use up, but that would be a bit dull and definitely take far too long. Instead I’ll show you what I’ve got to use up. 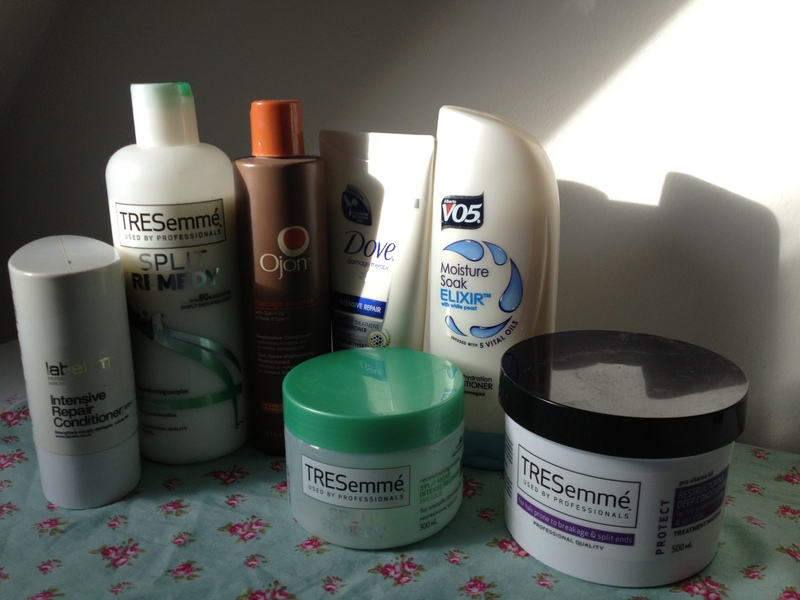 I’ll be documenting my progress and my thoughts on each product in my Monthly Empties post. I did something similar to this a year or so ago called ‘project bathroom’ I tried to use up a lot of products without buying new ones. I did quite well, but stopped half way through… not too sure why though! You can do it! 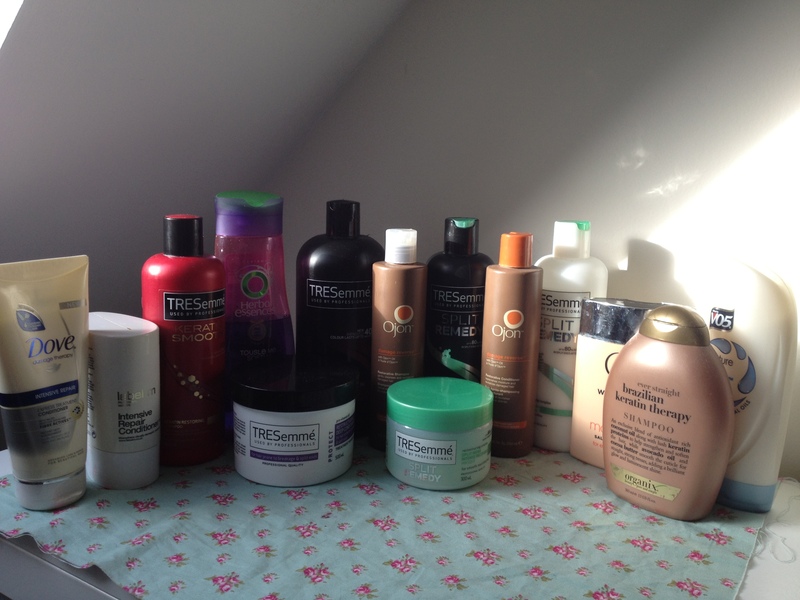 You have a huge hair care collection! I love it. « Dove Compressed Deodorant* – Do all good things come in small packages?